There are some parts of the world that are seen as almost exclusively a destination for "romantic getaways", but all too often that simply masks all the other opportunities there. One example of this is Bali. For most Americans, this Indonesian island brings visions of honeymoons on the beach, great food, and unparalleled hospitality. That's there too, but you can also have some great family adventures here as well. We had a chance to talk with the folks at Rimba Jimbaran resort and learn about some of these opportunities. After all, just because you are in one of the most romantic places on Earth doesn't mean you can't enjoy it with kids too! 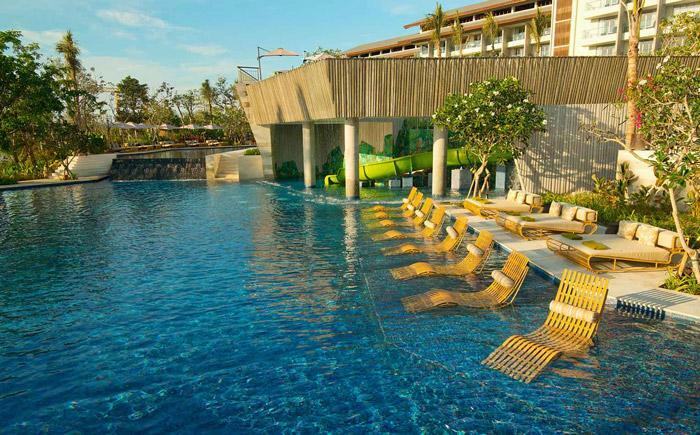 Depending on the age of your kids, it's always a good idea to consider that there are many good family hotels in Bali. Some though are strictly "adults only" and among those family-friendly resorts, some are better than others for kids. What you are ultimately looking for is a good mix of cultural activities as well as fantastic luxury accommodations and an opportunity. You're also going to need to be able to spend time just with your partner - away from the kids. Rimba Jimbaran has 12 pools, a Thermes Marins Spa, and is on Kubu Beach, so there's plenty to explore across their more than 200 acre property. It's also less than 30 minutes from the airport so you can maximize your time here on the island. There's plenty for your wife or partner to do from shopping to relaxing at one of their 12 pools including the AYANA Main Pool. This infinity edge pool merges the water with the deep blue ocean water beyond. She'll also enjoy the shopping arcade with boutiques featuring handmade Balinese goods as well as premium outlet shops. There's also a full spa with signature treatments ranging from Lava Stone, Hot Shell Massage, and Seven Chakra Dhara all inspired by local tradition. The spa here was voted 'Indonesia's Best Hotel Spa' by the World Spa Awards in 2016. Of course, sometimes nothing beats simply laying back in a lounge chair and getting a good foot massage! While I'm never one to shy away from a good spa treatment, there's lots here for guys at Rimba Jimbaran as well. For instance there's the 18-hole putting course, a Tennis Pavilion, and 19 different restaurants, bars, and entertainment venues. 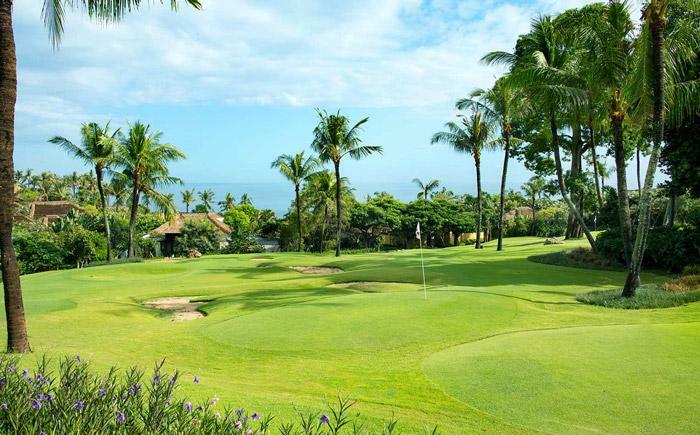 There's also the newly opened Kuta Golf course located 20 minutes drive from the property. While the couples opportunities are obvious - romantic picnics on the beach, spa treatments, and sunset dining, there's a surprising amount of stuff for families here too. In order to have a successful family friendly romantic getaway where everyone has fun, you need to make sure there's a balance. Each part of the family needs to have stuff that they can do - together and apart. Bicycle Tours - led by an English speaking guide to explore Bali's southern peninsula. 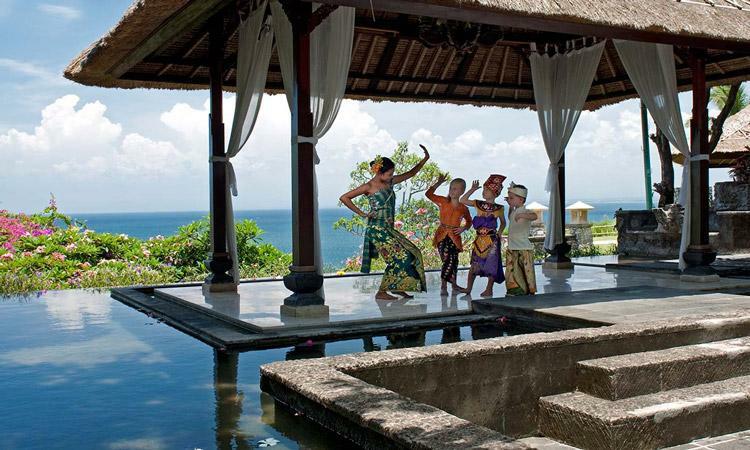 Kampoeng Bali Cultural Dinner - experience the traditional cultural traditions of Balinese culture at the resort's unique cultural performance restaurant. Jimbaran Fish Market Tour - better for older children, but this tour lead by a guide from the resort takes guests to the local fish market to learn about the area's fishing history. 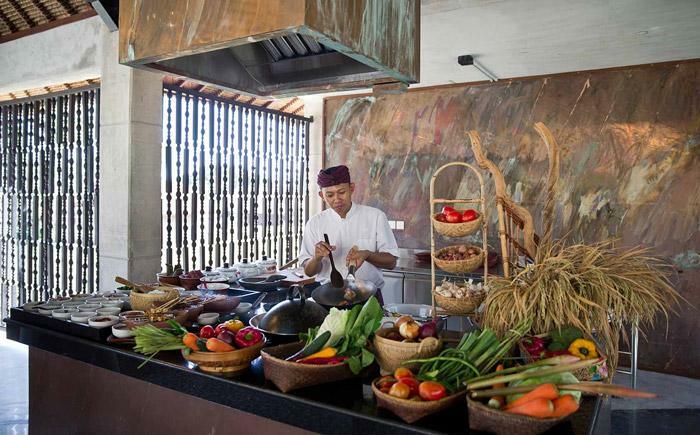 Guests will also be able to explore traditional ingredients, cooking methods, and the role food plays in daily rituals. Cooking Classes - what's better than eating delicious food? Learning how to cook it yourself! Kids Club - Kids will also have a blast on their own at the Kids Club. Amenities here include a trampoline, a kid-sized billiards table, a mini-cinema, video games, and books in various languages. Plus, it's located right next to the Lower Pool's waterslide so you can drop them off to have fun while you have some on your own together!